That's right! 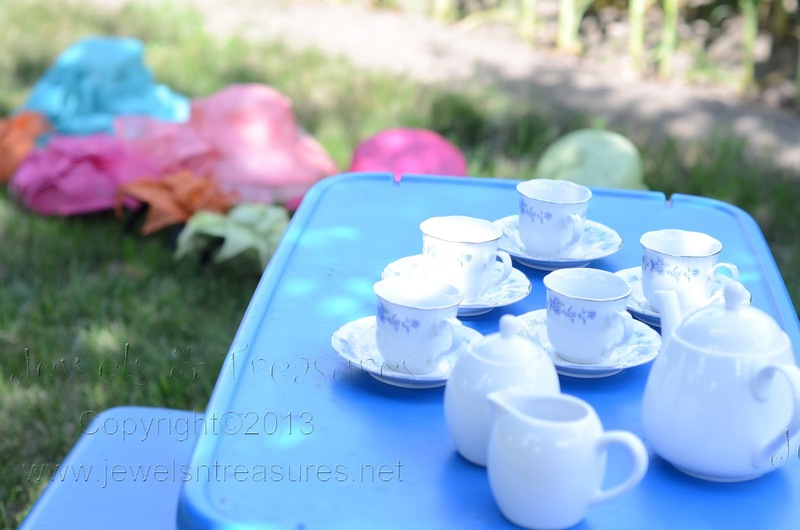 We recently had a tea party right in our front yard. I'm not sure I've ever seen the girls so excited, and at supper that night, Zoelle even thanked God for a wonderful afternoon tea party. In order to be proper, I asked everyone to please dress in their finest. 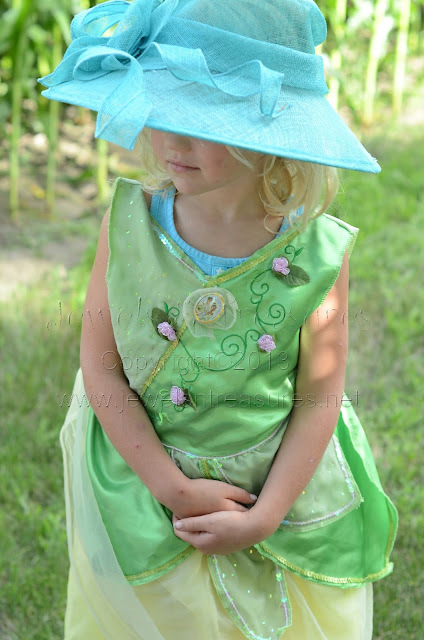 Zoelle led everyone to our dress up box, and each child picked out the dress they wanted to wear. 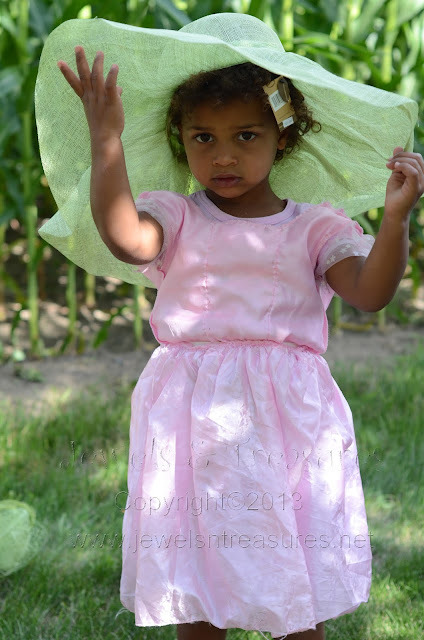 Then, each child got to choose from the fascinators and hats. 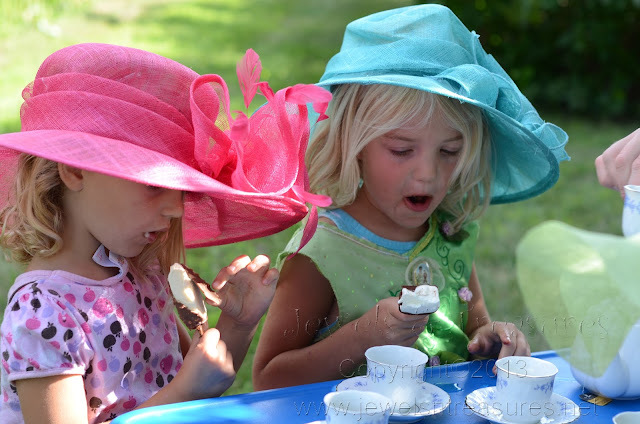 This was probably one of the most delightful moments of our tea party as each child was in an over sized hat, with a cute little dress up dress, and big smile of anticipation on their face. 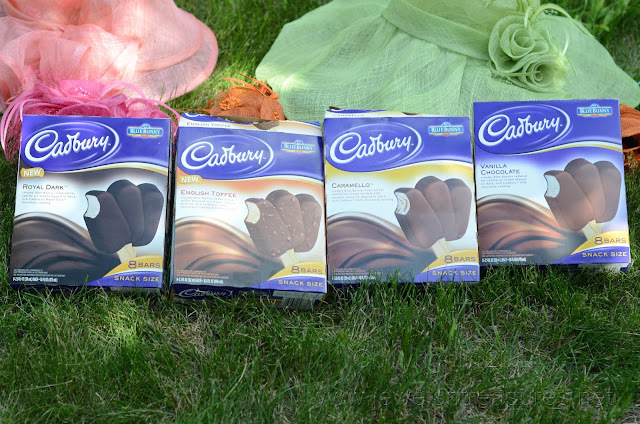 Lastly, we brought out the kids favorite (who am I kidding, it was an adult favorite too), the Cadbury ice cream bars. Yummy! Everyone had four different kinds to choose from: Cadbury Royal Dark, Cadbury English Toffee, Cadbury Caramello, and Cadbury Vanilla Chocolate. I'm pretty certain that each adult and child loved whatever ice cream they got. My favorite is the Caramello. My hubby even snuck one too and said that he loved the Dark Chocolate as it was rich, yet had that typical Cadbury goodness. After lots of excitement, hot tea, ice cream treats, and lots of giggles with dress up, it was time to be done. The conclusion: We all want to do afternoon tea and Cadbury bars more often! Disclaimer: I received this party kit as part of a promotional program with Cadbury and MomSelect. All opinions are my own. i love the hats!! how fun!